Chinese Kitchen is a Chinese Takeaway based on 43 King Road in Brentwood. 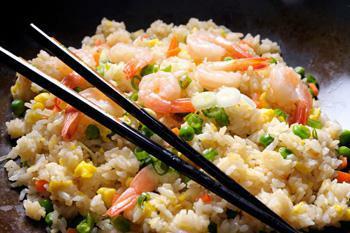 We serve a wide range of delicious Chinese food and offer online ordering. The quest for quality and respect for the natural, delicate flavours of each ingredient are principles on which Chinese cuisine is based. Chinese Kitchen in Brentwood uses this philosophy to design menus to suit the most discerning diner, and to add to the richness and diversity of the areas restaurant scene. Miniumum order value of £20. Can only be used on www.chinesekitchenbrentwood.co.uk. Cannot be used in conjunction with any other offer. Here at Chinese Kitchen a Chinese Takeaway in Brentwood, we have a wide range of menu options. Serving delicious Chinese food, we are sure we have something for you to enjoy. Food nice and fresh, but was a long wait, and very embarrassing, as we had guests who informed us foir hungry, on arriving at our home. I love this place. Nice staff and I could eat their food again and again! Best Chinese Food I've had in a Really Long Time! Seriously. This place is something else. Amazing! Can't wait to come again.